With Christmas on the horizon, many of us are thinking about gift giving. In this month's installment of Field Notes, Susan Knight discusses the virtues of coal (just in case you get some in your stocking). Christmas is coming. Are you worried about what you might find in your stocking? I am hoping for chocolate and gummy bears, but a nice lump of coal might not be too bad, either. Coal burning is now considered an environmental scourge. But the phenomenon of coal itself is fascinating and in need of a public relations boost. Where did it come from? Why is there so much in West Virginia and Pennsylvania? Do our local bogs, and their accumulated peat – that’s P-E-A-T - have anything to do with coal? When I lead a bog tour, I get pretty excited about peat. When you stand on a bog, you are standing on peat which is dead and partly decomposed plant material that has been accumulating for many years. Plants in the bog grow all summer and then die but, instead of decomposing as most dead plants do at the end of the growing season, the dead stuff just piles up. Why does it accumulate? Bogs are waterlogged and acidic and have next to no oxygen below ground, and so there are almost no bacteria to do the work of decomposition. The dead plant material decomposes a bit, but mostly it adds up year after year. Peat in our bogs could turn into coal. But it has only been accumulating since the last glaciers left our area, about ten thousand years –nowhere near long enough for peat to turn into coal. So where does coal come from? 300 million years ago, the Earth was in what is called the Carboniferous Period, so-called because of the carbon-rich sediments that developed. If you were looking down on Earth from outer space back then, the earth wouldn’t look much like it does today. For one thing, the continents were on the move. Parts of what are now Europe, Asia and North America, known as Laurasia, were colliding with Gondwana, or what would become modern-day Africa, South America, Antarctica, Australia, and India. This was Pangaea, a supercontinent uniting most of the land masses on the globe and surrounded by ocean. Perhaps because of this configuration, conditions were more tropical, more humid and more uniform through the year. Parts of eastern North America and Europe where we now live, were alternating between being covered with land and shallow warm seas. The plants that were growing back then were different from anything we see on earth today. Or rather, those plants were relatives of some plants we still see today, but the ancient plants were up to a hundred times larger than their modern cousins. You may be familiar with clubmosses, also known as princess pines, which are small evergreen understory plants in our forests today. Or you may know horsetails, often growing on lake shores or in wet ditches. And ferns are very common in our woods. Well, imagine a princess pine 75 feet tall. Think about horsetails 50 feet tall and twenty-foot-tall tree ferns. You can still see tree ferns in some parts of the world today, but the Carboniferous tree ferns were massive and massively more dominant back then. These plants looked like they came out of Dr. Seuss’ imagination – they are bizarrely different from their relatives we see today. Back then, the equator arched across the Appalachian Mountains and over northern Europe, creating a warm, constant habitat for plants to grow year-round. The soupy inland seas or swamps were the perfect habitat for growing these primitive monster plants. Though tall, the plants generally didn’t have much for roots, and they commonly tipped over into the oozy wet and… pretty much just sat there. Just like our bogs up here in the Northwoods now, the waterlogged muck didn’t allow for much decomposition. Also, the trunks and roots of these primitive plants were woody and covered with bark – and believe it or not – wood and tree bark were innovations back then. The native bacteria and fungi were not yet up to the task of decomposing these rot-resistant tissues. Between the water-logged sediments and the rot-resistant woody plants, decomposition was hugely slowed down, allowing for a massive accumulation of peat. The peat was eventually covered by sedimentary rock and spent millions of years under great pressure. Given enough time, and evidently 300 million years is enough time, those half-rotted horsetails, tree ferns and and club mosses were transformed into coal. What happened to these primitive giants? Mostly, they went extinct as the climate cooled, the inland seas dried up, the land became drier. In fact, there was a mass extinction event all over the world, and a huge changing of the guard of both plants and animals. 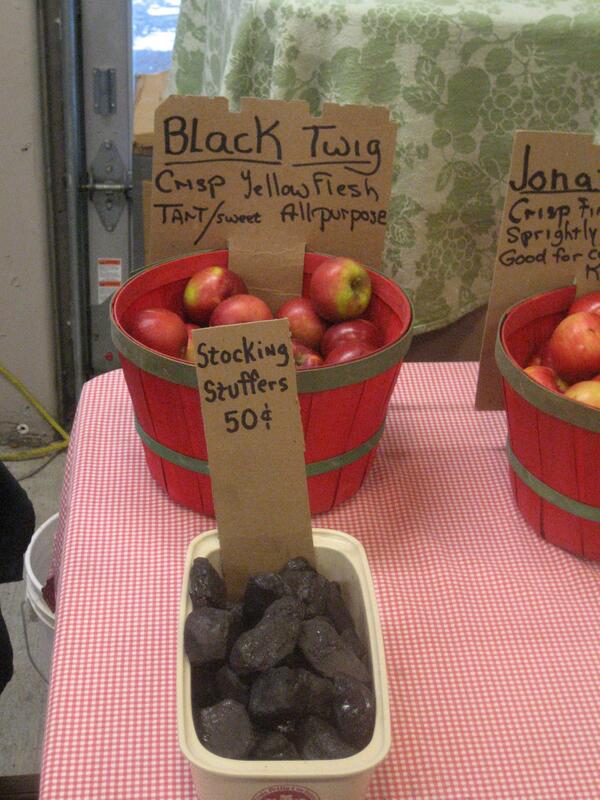 So maybe a lump of coal isn’t so bad to find in your stocking. It certainly has some history. For Field Notes, this is Susan Knight of UW-Madison’s Trout Lake Station. The above photo was taken by Sean Biehle and can be found here. In this month's episode of Field Notes, Susan Knight of UW-Madison’s Trout Lake Station describes an unusual growth pattern of an aquatic plant, reminiscent of mushroom fairy rings.